"Great! Makes it easy to understand your data." It is a very complex software. I am really not sure how it works, I just know how to use it. It does all the dirty work for you. It's like doing research for weeks and then having to write an essay with that research so your audience will understand the data found. That's exactly what Oracle does for your data. There is a lot of things that I didn't understand. I felt like I needed to be a genius to know what was going on with the software but it is actually pretty simple once you learn what to do just like any software. Try it. It does work well. It can be intimidating at first but it is worth it. Very helpful software. We can work a lot faster with the software. We can now look at the results faster and more confidently than before. I like the fact that you can use this tool in regards to visualization. There are portions of this tool that are more user friendly than others. It is more simplistic than the newer tools offered. This tool does run rather quickly and it is best used in a small office. It is cheaper than some of the newer tools! Good for small office that cant afford tools such as Tableau. Oracle Data Raker isn't located in the top 10 of Business Intelligence Tools. When it first came out it didn't have much competition and of course ranked higher. But now there are other tools that offer a lot more. Its not as user friendly as some of its competitors such as Tableau. This tool does offer flexibility in regards to different types of visualization or one to create. It is more like Microsoft BI.Our office is currently working on upgrading to a better tool. "Still learning how to use Orable dataraker"
The detailed reporting features are amazing. For a first time Oracle user like myself, the program is a bit overwhelming at first. I dont have any yet. The program is great once you learn how to use it. My company is keeping better track of sales goals and objectives. * We monitor all Oracle DataRaker reviews to prevent fraudulent reviews and keep review quality high. We do not post reviews by company employees or direct competitors. Validated reviews require the user to submit a screenshot of the product containing their user ID, in order to verify a user is an actual user of the product. Hi there! 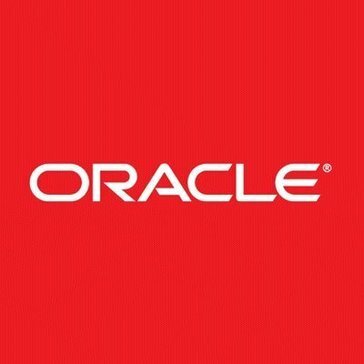 Are you looking to implement a solution like Oracle DataRaker?